The sweet-smiling youngest son of Prithviraj Kapoor is known for being one of the greatest romantic heroes of Hindi cinema from the 60s all the way through to the 80s! Balbir Raj Kapoor, aka Shashi Kapoor, started out as a child actor, best known for playing the young version of Raj Kapoor in films like Aag and Awara. But starting in 1961, he became a hero in his own right, stealing the hearts of millions with his signature grin. He also has the distinction of being the one Kapoor to truly straddle both commercial and art house cinema successfully. 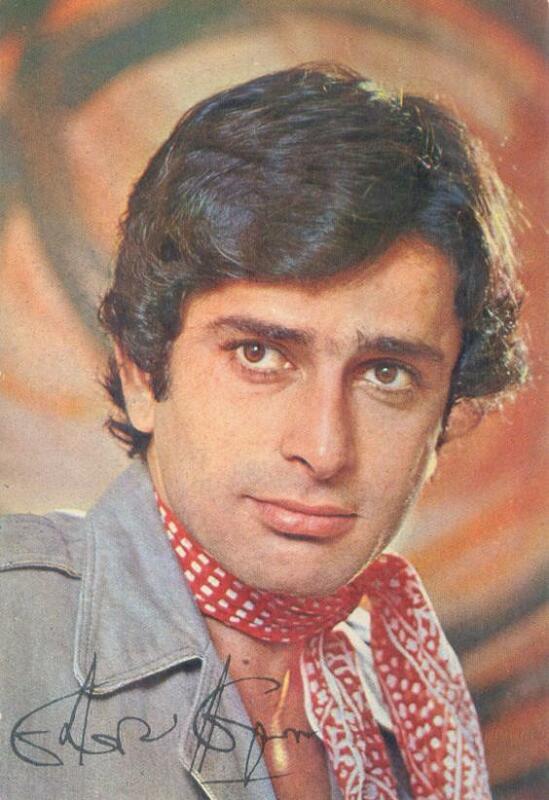 I hate to admit it, but Shashi-centric films were never really ones that I sought out. I liked him well-enough, particularly as one half of my favorite filmi bromance duo - Shashitabh (Shashi Kapoor + Amitabh Bachchan) - in films like Shaan, Do Aur Do Paanch and Namak Halal. But I never quite considered myself a part of his die-hard fanbase. Which means that I am woefully ignorant of many of his best films and songs. But I did try to come up with as many fun, spirited, dance-y numbers featuring Shashi as I could off the top of my head - so here's Dance Like a Kapoor Part III - SHASHI KAPOOR ... now I originally thought that I'd mostly be thinking of numbers where Shashi jogs around trees and acts charming -- but there are some really good ones that allow him to showcase what he's got! And what he's got ... we just adore, don't we? I feel like this is such a quintessential Shashi song, and it's such a great song to dance to. I mean you can't hear it and NOT dance! And though we are mostly treated to large arm flourishes, Shashi gets to do a teeny bit of bhangra and shows that he has excellent rhythm and energy. Honestly speaking, he reminds me of Shah Rukh Khan in this, or should I say vice-versa? I mean to say, I don't think SRK is the dancer that let's say Hrithik Roshan or Shahid Kapoor are, but he is so full of energy and dedication that you just don't care. I think Shashi has that quality here. I always loved this video, because I felt like it was one time when Shashi channeled his inner Shammi. But after another re-watch, I feel like Shashi really took this one and ran! I mean, the energy, the jumping, the choreography, the TWIST! This is such a fun video, and Shashi rocks it. I'll even go so far as to say that sometimes I feel like the heroes of the 60s had it much harder than the ones of today. I mean, their choreography, though not perhaps as complicated as the hip-hop based stuff of today, really required a ton of energy! The stuff of today is pretty good, but the editing style has advanced to the stage that there's rarely a few seconds of dance before we're cutting to something else. These guys had to do set choreography and jump like crazy without breaks. I know it's difficult to really compare, but when you think of how many takes Shashi probably had to jump like that ... well, I get exhausted just thinking about it. And this video gets the Beth Loves Bollywood stamp of approval. Shashitabh! A Bad Guy's Lair! Tambourines and Hand Scarves! Helen! What's not to love about this song? This is one of my favorite dance songs of all-time. My eldest sister choreographed this for a large group of my mom's students back in 1981 and they made their costumes out of black garbage bags to imitate the leather vests that Shashitabh are wearing in this. I was always SO jealous. I wanted to be in this dance SO VERY BADLY (of course, I was four so it really would have been hazardous to have me underfoot). I totally wanted to re-create it in the early 90s when we finally had boyfriends that 1) could dance and 2) were uber-Amitabh fans and would have totally done it. Unfortunately we never got around to it. Oh well, I can always put my husband in a black garbage bag vest and dance around the living room. This may be a weird choice because he mostly stands around and watches Parveen Babi shimmy around in it, but I really do think this is a GREAT disco song. Our band used to play it at parties and it always got people on the dance floor! And towards the end when Shashi does his verse, he does do some disco-ey grooving. He's super cute doing it. Yes!!! Shashi can BOOGIE! The strobe lighting is a little annoying, but he is totally working it in this - it's not just jogging and arm flourishing! And while juggling multiple women no less! Ok so this is more of the jogging and arm flourishing variety, but it's such a fantastic song and he's so wonderfully vibrant in it, so I had to include it. I also remember a few remixes of it floating around about 6-7 years ago, so it's totally danceable. This song was on one of those old song compilations VHS tapes my mom had back in the day, and I always remembered it because 1) Shashi was SO YOUNG, 2) Shashi + Mehmood! WOW! and 3) Shashi does some rocking thumkas. But he really gets a chance to DANCE in this one, and he's quite good. Mehmood is awesome too, of course. More of the jogging variety, but he does do some pretty cool moves dancing through the wheat fields as well. And again, such amazing energy! Affoo Khuda! I dare you to listen to this song and not shake your shoulders or hips. Seriously. It's impossible. And Shashi shows some excellent versatility in this one -- from bhangra to the twist. Love it! Admittedly in this song most of the dancing is left up to the fabulous girls (Zeenat Aman and Neetu Singh), but it's still fun to see Shashi and his nephew Randhir dancing together (and dare I say, Shashi looks way younger than his nephew despite being nine years older)! Here we have 'Skate like a Kapoor' vs. 'Dance like a Kapoor' - but I had to add it because it's one of my favorite Shashi Kapoor songs and because of the fun costumes and HELLO? Roller skates! At this point I couldn't think of any more off the top of my head, so I had to call in for reinforcements because I couldn't shake the sense that I was forgetting some ESSENTIAL Shashi songs. 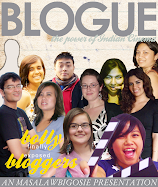 So of course, I hit up the Shashi-love-encyclopedia-extraordinaire, Beth Loves Bollywood. And she came through with some spectacular suggestions! The next installment of 'Dance like a Kapoor' is going to be extremely difficult for me because it's my favorite Kapoor and I think he has an extensive list of amazing dance songs! But I'll do my best to give the wonderful, adorable Rishi Kapoor his due justice. 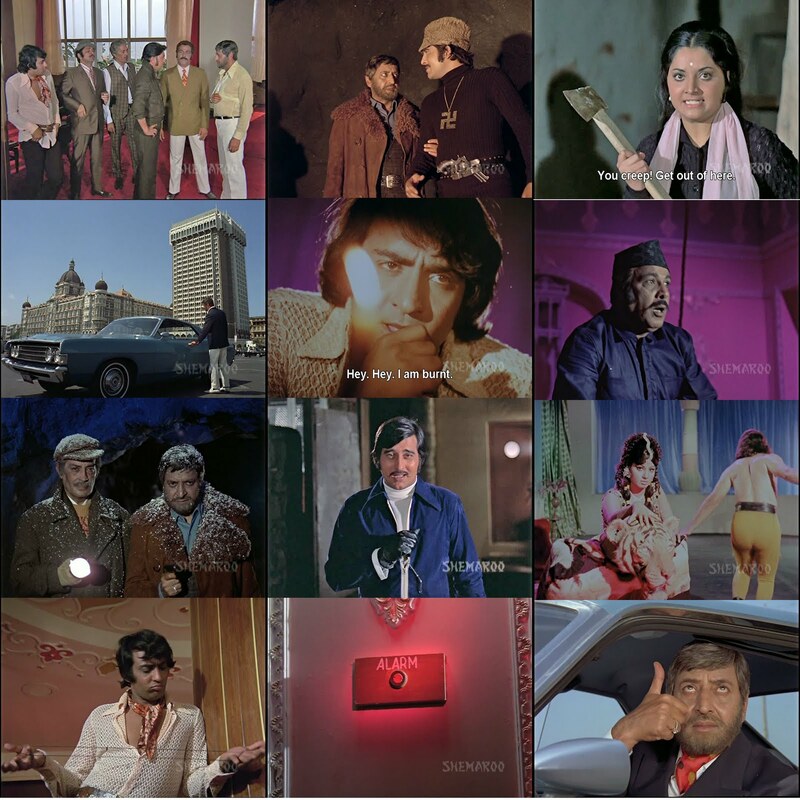 Keep yourself updated on all the fun Kapoor Khazana posts by visiting Katherine of Totally Filmi's links! 1) Shashi seems to really embrace the inherent silliness of dancing. He's dives into potentially awkward pieces of choreography wholeheartedly and manages to pull them off. 2) he always has that crazy smile on his face that says "I love this! There's nothing else I'd rather be doing!" 3) a surprising number of these dances feature someone (a father, a rival?) looking on disapprovingly. But I know that in their heart of hearts they want to dive in and dance with the Shash. Liz, I like to think that #1 and 2 on your list derive from his commitment to acting across the board. I know this is making me sound like an insufferable snob but...I've watched Shashi across a pretty big variety of films and types of films, even (Hindi masala and other popular films for 30 years, Indian parallel cinema, English-language by both Indian and foreign makers), and in almost every single film I've seen he is giving it his all. He very rarely phones it in. That's one of the things I like most about him. :D It makes for good performances generally and some surprisingly fun dancing here and there! I think there dance skill was free and without having tough dance steps like of these days. However simply love these moves.